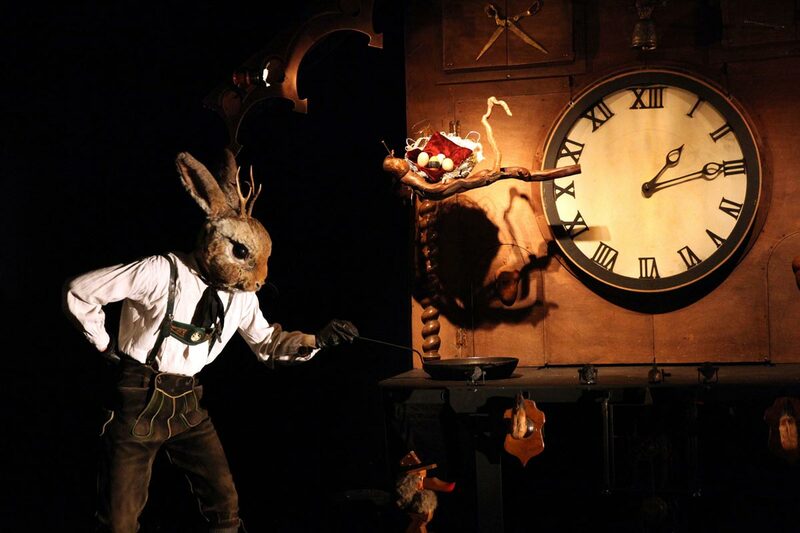 In this magical cabinet of curiosities with hints of Alice in Wonderland and loosely based on The Elves by the Brothers Grimm, events are controlled by a giant, Black Forest cuckoo clock, supernatural in its counting of hours. A shoemaker, a mother bird who spins wool and a menacing, musket-toting rabbit are the protagonists in three interwoven tales filled with striking imagery, surprises, twists and turns. 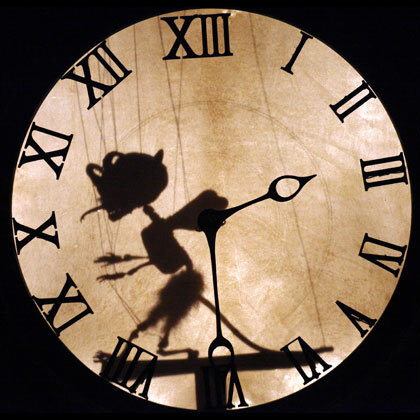 When the clock strikes thirteen, elves and goblins appear from inside its mechanical gears and wheels. They manipulate time and rearrange our notion of the natural order so that humans no longer control affairs – the fun begins. 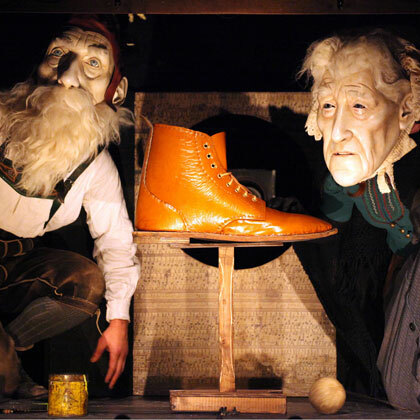 Artistic Director Patrick Sims, co-founder of both Buchinger’s Boot Marionettes and Les Antliaclastes, uses masked performers, extraordinary sound and music, automatons and sculptural puppets to achieve his fantastical universe. An eerily delightful folklorish adventure, Waltz of the Hommelettes remains faithful to the child logic, adult hypocrisy, cruelty and humour of traditional fairytales. 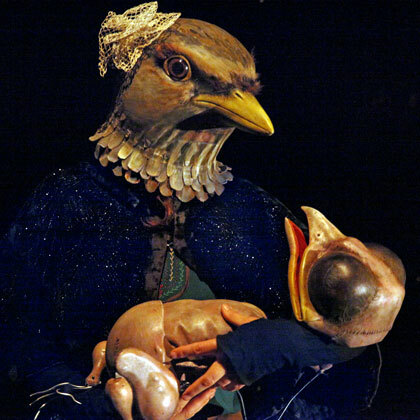 "A blend of masks, puppets and folk tales… an extraordinary journey that invites the audience to enter a dreamworld… Crazy, very funny and deliciously irreverent"